This fansite is devoted to the one and only Katey Sagal of Married...with Children, Futurama,and 8 Simple Rules. Katey is now focusing on getting back to television with appearances on shows such as Ghost Whisperer,Lost,Boston Legal,and she hosted the second season of Nick at Nite's 5 episode reality series, Funniest Moms In America. Most recently she will be one of the stars of her new series on FX when it comes this fall, Sons of Anarchy. Katey also sings,and has released two albums, Well...(1994) with Virgin Entertainment,and her latest album,Room(2004)with Valley Entertainment. She performs all over Los Angeles and most of Southern California. Katey also is an accomplished songwriter,who has written songs for both albums. This site began in May of 2004 and is now in its fourth year on the Net. It is also the most legit. Sagal Unscripted keeps up to date with the latest news on Katey. We have forums(in the near future), gallery(coming soon),and are currently working on getting a "fanbase". It has seen thousands of visitors,and is one of 3 legit fansites. It has had many aliases;Katey Sagal Source,the most recent. 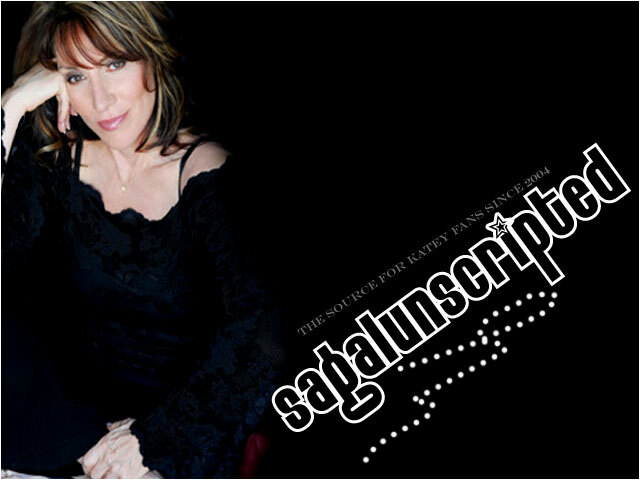 We here at Sagal Unscripted are working to make this your source for Katey Sagal news.